Partnership’s are registered under the Partnership Act, 1932. 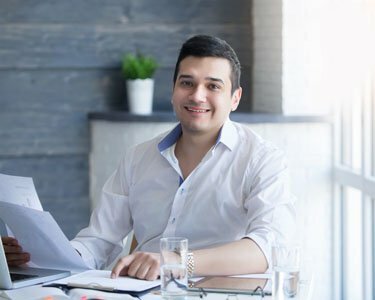 The partners of a Partnership registered under the Partnership Act, 1932 are personally liable for an unlimited amount of Partnership liabilities. Hence, the partnership firm and the Partners are not considered separate legal entities, neither does the Partnership have perpetual existence. LLPs are registered under the Limited Liability Partnership Act, 2008. The Partners of a LLP are not personally liable for the liabilities of the Partnership and the liability of a Partner is limited to the amount of his/her capital contribution to the LLP. Therefore, the LLP and the Partners of a LLP are considered to be separate legal entities and the LLP has a perpetual existence, until dissolved by the Promoters. Any Indian Citizen residing in India can be a Partner in a Partnership Firm including minors. A Partnership Firm must have a minimum of 2 Partners and can only have a maximum of 20 Partners. The Partnership Deed defines aspects such as Management of the Firm and one or more Partners can be designated to manage the Partnership Firm. Any Indian Citizen residing in India can be a Partner in a LLP. Foreign Direct Investment is allowed in a LLP with prior RBI approval. Minors are however not allowed to be part of a LLP. A LLP must have a minimum of 2 Partners and is allowed to have unlimited Partners. The LLP Agreement governs aspects of management of a LLP and one or more Partners can be designated to manage the activities of the LLP. The share in a Partnership can be transferred to another person after obtaining the permission of all the Partners in a Partnership. The transferability of a Partnership is cumbersome. Partnership can be converted into a LLP or a Private Limited Company, through a lengthy process. The share of a LLP can be transferred. However, the Transferee is not allowed to become a Partner automatically. The share of a LLP can be transferred to another person more easily. A LLP can be converted into a Private Limited Company or a Limited Company easily. The Profits of a Partnership firm are taxed at 30% + educational cess. There are no annual return filing requirement for a Partnership firm. The Profits of a LLP are taxed at 30% + educational cess. 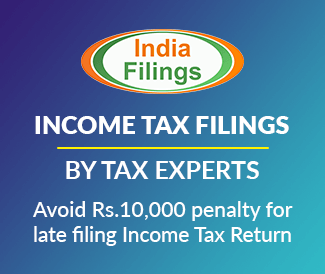 LLP must file annual return with the Ministry of Corporate Affairs(MCA). Greetings from Indiafilings.com, India’s premier online consulting company !!! We acknowledged the receipt of your mail. It’s our pleasure to assist you with your requirement, We think it is better to have a telephonic conversation with our business adviser for a detailed business commentary, so please let us know your contact number by mail to [email protected] to guide you better. Looking forward to work with you in the near future.